Ultra Music Founder and hip-hop and electronic music pioneer Patrick Moxey is today relaunching iconic record label Payday Records. This year marks the 25th Anniversary of the label, which helped launch the careers of some of the biggest and most influential names in hip-hop, including Jay Z and Showbiz & A.G. Legendary producer and Gang Starr member DJ Premier is reunited with his longtime Gang Starr manager Moxey as the first artist signed to the newly relaunched Payday Records. Payday Records, created in 1992, was the first record label to sign Jay Z, releasing his first single “In My Lifetime” in 1995. Other artists signed to Payday throughout the 90s include Jeru the Damaja, Mos Def (via his first group U.T.D. ), Showbiz & A.G., Group Home, Guru, WC and the Maad Circle and more. DJ Premier played an integral role in Payday throughout the 1990s, bringing artists like hip-hop duo Group Home and rapper Jeru the Damaja to Payday for release, and producing a number of the label’s biggest hits including “Come Clean,” and “Supa Star”. Payday will relaunch with its first single “Our Streets” by legendary producer DJ Premier, featuring A$AP Ferg this Friday, November 3rd. 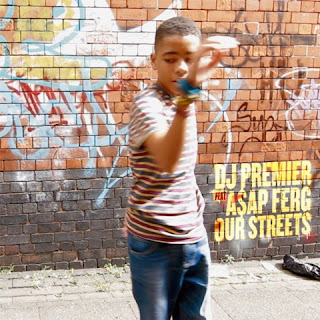 “Our Streets” marks the first time Premier and Ferg have worked together, and is a true raw, New York record. 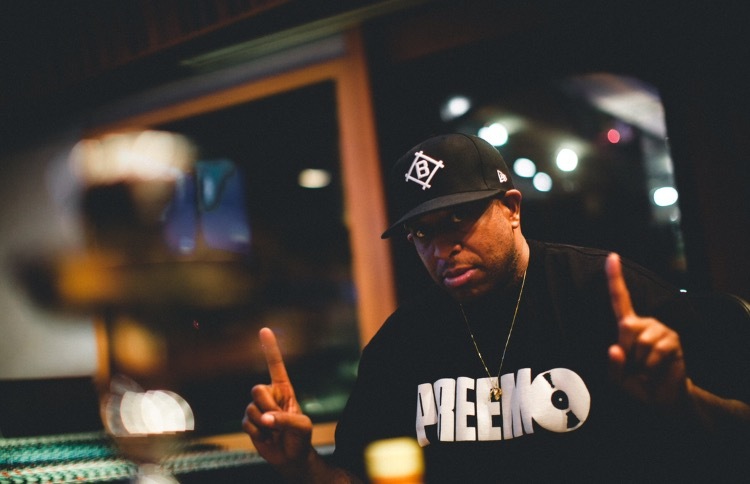 The song is the first of many for Payday and DJ Premier, who is the newly relaunched record label’s first signed artist. "Patrick always had his ear to the street and it didn't take a lot of explaining the culture since he was so involved with so many aspects of it, including managing Gang Starr's legacy since 1989 – 2003” DJ Premier stated. "Our memories of growing together is monumental, so relaunching Payday brings it all back to the roots of where our flight to success lifted off." In addition to DJ Premier, Payday Records has also signed artist Pell, rapper OJ Da Juiceman, upcoming UK hip-hop star Yung Fume and hip-hop group Gloss Gang. Payday’s next release will be Pell’s single “chirpin’” on Friday, November 10th, which will be followed by his girasoul EP on December 8th. Moxey, who is the President and Founder of Ultra Records, Ultra Music and Ultra International Music Publishing, originally formed Payday Records in New York City in 1992. London-born Moxey is a music industry pioneer, being one of the first to truly bring electronic dance music to the mainstream. Alongside Payday, Moxey managed the infamous hip-hop duo Gang Starr for over 15 years, leading him to work with some of the greatest artists of all time, including Tupac and Notorious B.I.G. A three-time Grammy Award-winning Executive Producer, Moxey is a true music powerhouse and is bringing back Payday Records for a new generation. “Hip-hop has become a Global language and the new Payday is here to reflect that and help bring diverse and talented artists to the world” Moxey stated. “Our initial signings are from four different cities - New York, Atlanta, New Orleans, and London - and it reflects today's relationship of music and the internet. We want to push hip-hop's creative boundaries across borders and cultures. Our recording studios in LA, London, and Atlanta will be promoting this creative exchange. DJ Premier represents the essence of hip-hop and everything that Payday stands for – I am so excited to have him be a part of the relaunch." Moxey will serve as the President of Payday Records, with Payday veteran Neale Easterby serving as Managing Director of the UK. Easterby was an instrumental Payday employee in the 1990s and part of the original Gang Starr management team alongside Moxey. He is currently one of the most successful hip-hop managers in the UK, representing Grammy Award-winning producer Fraser T. Smith and hip-hop producer ZDOT. Adrian Nunez will manage A&R for Payday and Will Scott will head up the Product Management and Marketing divisions. Nunez currently handles A&R for Ultra International Music Publishing, covering artists and producers such as Zaytoven, Honorable CNOTE, Cassius Jay and Maaly Raw. Scott was formerly product manager at Mass Appeal Records working records for Run The Jewels, DJ Shadow, and Dave East.